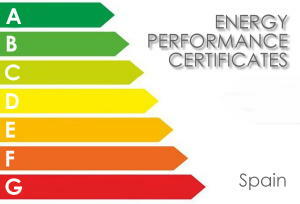 If you intend to sell or rent a property in Spain you are required to have an Energy Performance Certificate (EPC). The energy performance certificate is a report that describes how efficient a home is in terms of energy consumption. It assigns an energy rating to each home on a scale which ranges from “A” (the most efficient) to “G” (the least efficient). The certificate is then valid for 10 years unless any renovation or changes to the property are carried out. Gapp Properties can help customers obtain their certificates. Please contact us for more details.